If you work with drivers, there’s a very good chance you celebrate National Truck Driver Appreciation Week each September. 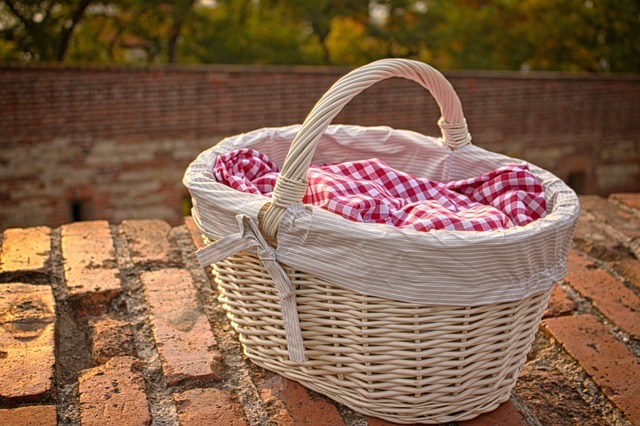 Festivities often include late summer barbeques or casual, low-stress gatherings. These events reinforce that drivers are appreciated for their hard work each day. Many Stay Metrics clients also give drivers a “Thank You” in the form of points in their rewards program this week. Yet, as both Tim Hindes and Becca Mathews have written before on this blog, appreciation for drivers should happen every day, not just one week per year. Especially with high industry turnover rates, drivers are the key to a carrier’s success. Recognizing this fact and letting drivers know you have recognized it is a great strategy to start building a culture that retains great drivers. According to a 2018 survey conducted by SHRM, a strong majority of human resource managers believe that recognition has a positive effect on employee experience (89%), employee relationships (87%), organizational culture (86%), and employee engagement (84%). All of these factors promote a great experience for a worker in any field, including transportation. And more recognition is better! A while back we looked at engagement rates and retention. 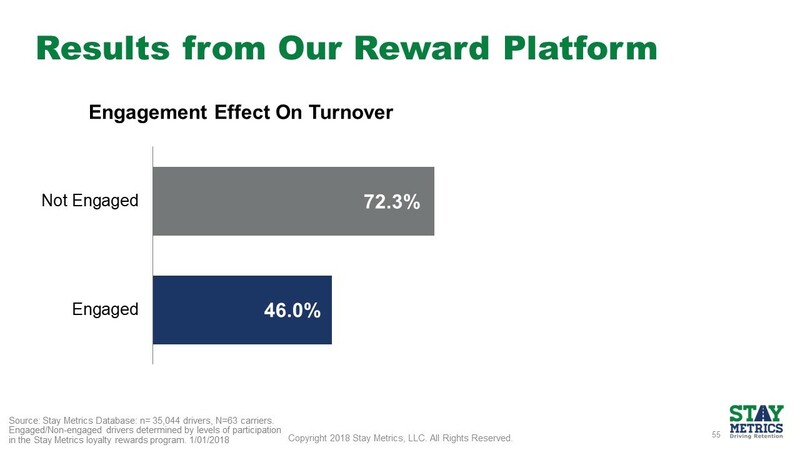 Drivers who were engaged in Stay Metrics Rewards Programs were 57% more likely to have remained with their carrier. These engaged drivers receive more frequent recognition because they are exposed to a platform that delivers it more frequently. Driver Appreciation Week Half-Year Celebration! Frequent recognition and appreciation is essential for developing great cultures that keep drivers. What can you as a carrier do today to make this happen? It just so happens that March is six months away from Driver Appreciation Week in September. Building from the idea of half-birthdays, a celebration of a person’s birthday six months after or before his or her actual birthday, we recommend that carriers consider celebrating a half-year Driver Appreciation Week now. It could even work in April. Looking for a marketable title for this celebration of drivers? 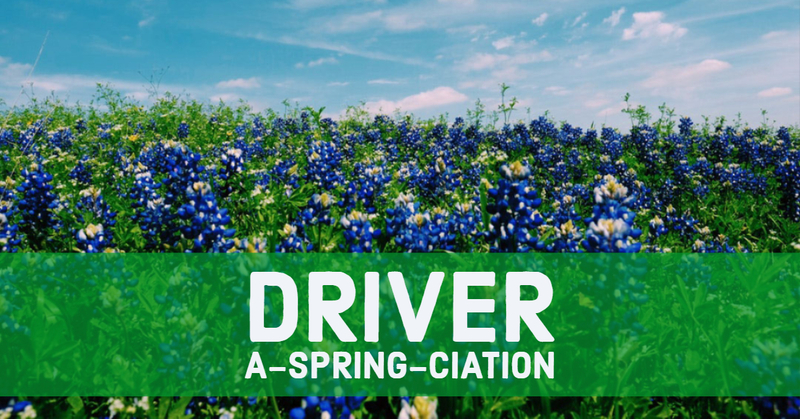 Consider calling it “Driver A-spring-ciation Week.” It can be the spring counterpart to fall’s driver appreciation week. Be sure to incorporate spring-themed celebrations. You could play off of Driver Appreciation Week’s barbeques with a spring picnic event for drivers, or another idea would be to help drivers brighten their sleeper cabs by gifting them plants that do well in low light and can be kept in the cabin. Stay Metrics clients can give drivers an applause award of points. They can even include a message of gratitude in their own words. February, March, and into April is a difficult time for everyone, especially truck drivers. Months of bad weather and low amounts of sunlight are coming to an end. Many drivers still struggle, though. Catching them at this low point with sincere appreciation for their hard work over the long winter months would be a welcome surprise. And welcome surprises can build into lasting positive relationships. Even if you do not think this half-year celebration works for your carrier, find ways to show your drivers they are always appreciated.